WE DO NOT ACCEPT REUSABLE/PORTABLE REPORTS! The majority of our rental properties require a 12 month lease and end/begin between May-August to coincide with the WSU school calendar. All tenants and cosignors on any signed lease will be responsible for the entirety of all rent/bill amounts. If for some reason a lease must be broken there will be a forfeiture of your security deposit in accordance to your lease agreement and the current tenant will be responsible for all payments until a new tenant has been approved and signed a new lease agreement. Information on our available rental properties can be found on our website at https://rentinpullman.com under Search Properties tab with pictures and descriptions. In the office located at 1125 NW Nye Street, Ste. B–ask our Property Management Team! Once you find an available property (or a few) that you are interested in, please call to set an appointment for a showing at leaset 24 hours in advance. *Showings are required to apply for all rentals and lease signings. -filling out as much of the application as you can, all information is confidential. -all roommates must submit a separate application and fee. -submit $40.00 application fee per applicant. Effective January 1, 2019 the fee per applicant will increase to $45.00. Other fees may apply if applicable to do more extensive searches. *Please make sure your phone number or email is on the application before it is turned in as we will need a way to contact you to inform you of your approval status. Fill out the application to rent (Co-signor applications are separate from tenant applications). *We will not send your applications to our screening service until the application fee has been received. These fees must all be paid via online. We do not offer refunds on any application fees, however they are transferrable to any of our other available rentals. Applications may be submitted online at our website. If you need to fill out a paper copy you must come to the office during business hours. Application fees may be submitted online through the online application portal or we may fax it in with the filled out paper copy. Once we have received all applications and payments we will send the application(s) to our screening service. They will also review for false information and/or omission of material fact listed on Rental Application. They will also review for lack of information provided on Rental Application. This process should take 3-5 business days from the date we submit it to our screening service. If you are a pet owner of a canine or feline, you must go to the Pet Screening tab and apply online for all animals in your household. The pricing for an individual Pet Profile is $20 and $15 for each additional Pet Profile. There is no charge ($0) for an Assistance Animal Accommodation Request. Pet Profiles are active for only one year upon completion. A Property Management representative will notify you of your approval status once the information has been reviewed. For applicants not approved by our standards there is an option to have a co-signor apply for approval, you may be asked to bring in additional information, or possibly work out something else via approval by the owner of the rental property. Once you are approved you can schedule a time to sign a lease. In the event of Adverse Action (denial of tenancy, cosignor or increased deposit required) you have the right to a FREE copy of the background check we reviewed and processed by ORCA Information, Inc. You also have the right to dispute the accuracy of any information therein. Do not ask Windermere for a copy of the background check. You may log onto: www.annualcreditreport.com. ORCA Information, Inc. obtains credit reports from Trans Union. 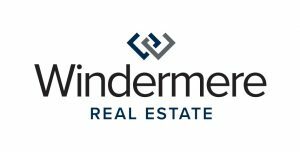 Thank you for renting with Windermere Property Management!